Rev. Felica R. Thompson is a powerful woman of God whose spiritual instincts and clarity of vision manifested the evolution and implementation of the Women’s Ministry at Simon Temple A.M.E Zion Church in August 2004, where she still serves as the Director. The ministry has three focal objectives: foster unity, promote spiritual growth and build long-lasting healthy relationships. The mission of the Women of Excellence (W.O.E) is to reach women of all ages and from all walks of life with the goal of encouraging one another, while fostering a sense of sisterhood and accountability among the women of God. Rev. Thompson is distinguished by her passion for being on FIRE for God and empowering and encouraging women. She finds her greatest motivation in coaching others to perform above and beyond their expectations. Her distinguished passion for helping others find Christ, her focus on collaborative team-building and her commitment to meeting the needs in the community resulted in WOE creating several subgroups to concentrate on specific ministry areas. In addition, the W.O.E. Ministry has two streets they adopted to clean on the first Saturday of each month. She also serves at the National Co-Director of YACM (Young Adults in Christian Ministry) of the African Methodist Episcopal Zion Church with her husband the Rev. 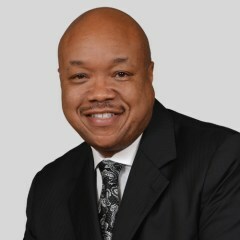 Brian R. Thompson, Sr.
Rev. Thompson preached her trial sermon on September 22, 2002 at Simon Temple A.M.E. Zion Church subsequently receiving her Deacon’s Ordination in January of 2006 and her Elder’s Ordination in January of 2008. She has been called the “Fiery Felica on Fire for God” ever since. She has been keynote speaker and preacher at several Women’s Retreats/Conferences, Women’s Day Observances and programs all over the world. Rev. 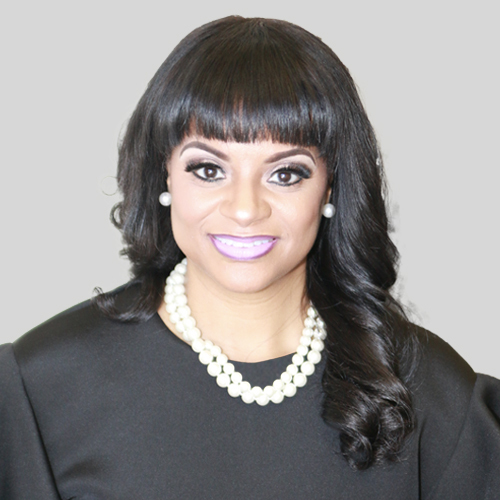 Felica is a published author, her first publication “Embrace Your Purpose” devotional reading was published in the YACM Devotional book in 2015. Her article “It’s Not About Us” was published in the Good News Magazine January/February 2016 edition. She consistently and continually allocates countless hours to various ministries within the church and in the community. She carries a radiant, positive uplifting spirit with her. Determined to not be bound by society’s perceptions and expectations she delivers an empowering weekly radio show called the ‘Free To Be Me,” where citizens share their testimonies and stories heard by thousands of listeners. As the radio host, she affords others an opportunity to break chains and barriers, and motivates individuals to seek their God given vision and passion. She invokes the passion and vision for others to NOT CONFIRM, but REAFFIRM who they are. They are fearfully and wonderfully made and Free to Be who God created them to be. Rev. Felica earned a Bachelor of Science in Business Education from St. Augustine’s College in Raleigh, North Carolina. She has always had a passion for education and mentoring. Prior to entering ministry full time, Rev. Felica was a High School Business Education teacher and Varsity Cheerleading coach with Wake County Public Schools in Raleigh, NC. Rev. Felica is married to Rev. Brian R Thompson, Sr., Pastor at Simon Temple A.M.E Zion Church located in Fayetteville, North Carolina. They are the proud parents of Alexis and Brian II. "Today you woke up with some of the same bills, problems, issues and haters so what's the use? Before you give up remember God woke you up!" Rev. Brian R. Thompson, Sr.